Penn National Gaming Inc. announced today that it has entered into a definitive agreement to acquire the holding companies for Bally’s Casino Tunica and Resorts Casino Tunica, for approximately $44 million cash. Penn National Gaming already owns the nearby Hollywood Casino Tunica operations. When the transaction is complete, Penn National will operate both Bally’s and Resorts and lease the underlying property associated with the two businesses from Gaming and Leisure Properties, Inc. (GLPI: Nasdaq), for a total initial annual rent of $9 million. The transaction, which is expected to close in the second quarter of 2017, is subject to the approval of the Mississippi Gaming Commission. 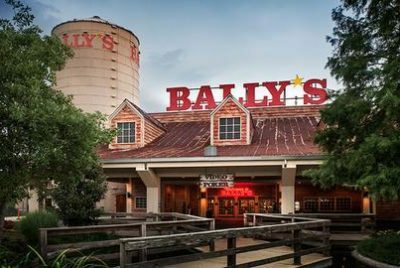 Bally’s Casino Tunica and Resorts Casino Tunica generated adjusted earnings before interest, tax, depreciation and amortization (EBITDA) of approximately $21 million for the 12-month period that ended Dec. 31, 2016. Bally’s is the closest Tunica-area casino to Downtown Memphis. It features a 40,000-square-foot casino with 947 slot machines and 16 table games, along with a steakhouse, buffet restaurant, 24-hour café, and a live entertainment venue. Resorts Casino Tunica is located adjacent to Hollywood Casino Tunica. Resorts features a 35,000-square-foot casino with 800 slot machines and nine table games, as well as a steakhouse, buffet restaurant and 24-hour café, as well as 18,000 square feet of meeting and event space and a 201-room hotel. Elle Perry covers hospitality, tourism and health care.